A simple kayaking trip led to the rediscovery of a species long thought to be extinct, propelling one alumnus’ work to international fame in the scientific community. 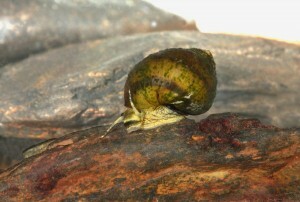 While kayaking down Alabama’s Cahaba River in 2011, Nathan Whelan (’08) pulled out a unique three-banded shell that resembled the nickel-sized body of a Leptoxis compacta snail. The species was declared extinct in 2000, but Whelan had a hunch the L. compacta, or oblong rocksnail, still lived. After running a few tests and comparing the wild-caught snails to the original species’ description, he was able to confirm what he’d suspected – the oblong rocksnail was not extinct after all. The rediscovery of the L. compacta has begun a renewed focus on its conservation. 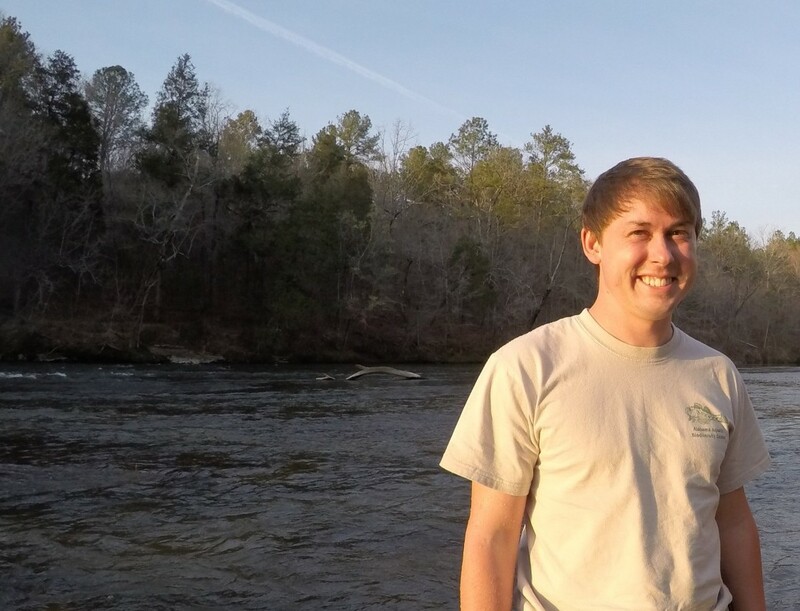 Since Whelan’s publication, Alabama has focused on freshwater mollusk recovery as part of a larger ecological effort. The snail’s reappearance adds to a small, but growing, list of stories from the Alabama Department of Conservation and National Resources. When he started at Truman State University, Whelan was originally interested in both chemistry and Spanish. 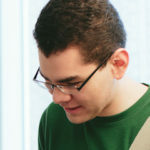 He declared a biology major his freshman year and began working in the MathBio program under professors Jonathan Gering and Dean DeCock his junior year. Whelan graduated with a Ph.D. from the University of Alabama in December 2013, and began a position as a post-doctoral fellow at Auburn University a few months later. Since rediscovering the L. compacta, his findings have been published across the globe and were featured in the French Tribune, Scientific American and the New York Times. Whelan hopes to see L. compacta listed under the U.S. Endangered Species Act and wants another population of the snail established within its historical range. He plans to continue his work on freshwater snails and other aquatic invertebrates and become a professor at a research institution. I love the easiness to get to know your professors and the resources that are available for students. It is easy to see the faculty’s dedication toward the students’ success, and I especially like that we are constantly challenged to be better.